Stefan Larsson, a Stockholm-based senior partner of The Boston Consulting Group (BCG), poses with his "Top 25" most influential consultants award from Consulting magazine at a gala dinner June 18 at the Pierre hotel in New York. Ross Love, head of BCG's New York office, is at right. 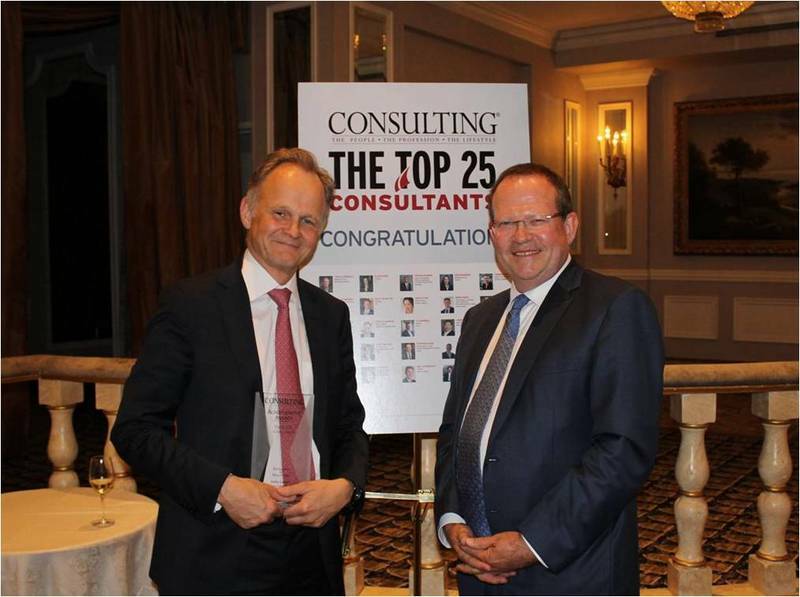 Stefan Larsson, a Stockholm-based senior partner of The Boston Consulting Group (BCG), poses with his "Top 25" most influential consultants award from Consulting magazine at a gala dinner June 18 at the Pierre hotel in New York. 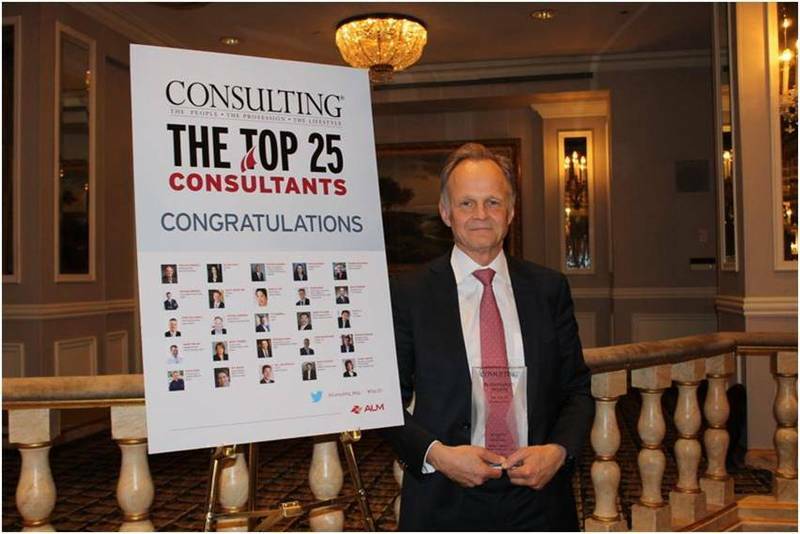 NEW YORK, NY--(Marketwired - Jun 19, 2015) - Dr. Stefan Larsson, global leader of Health Care Payer and Provider Services at The Boston Consulting Group (BCG), has been named one of the top 25 consultants of 2015 by Consulting magazine, the industry's leading trade publication. Larsson, who is based in Stockholm and leads the BCG Health Care practice in the area of value-based health care (VBHC), was honored in the Excellence in Health Care category. "We were impressed with the nearly 400 nominations we received this year. Each year, the top 25 nominations get stronger and stronger, and this year was no different," said Joe Kornik, Consulting's editor and publisher. "This year's winners are trendsetters and thought leaders, and are moving the needle like never before when it comes to being a trusted advisor to their clients." Larsson and his fellow winners were honored at a gala dinner yesterday at The Pierre hotel in midtown Manhattan. "The opportunity to contribute to a change in health care management which engages the profession and can lead to dramatic improvement in health care outcomes has been deeply motivating," Larsson told the magazine. Larsson joined BCG in 1996 and has a wealth of experience and expertise in the health care industry globally. In his career at BCG, he has worked on large-scale transformations for both public and private organizations, numerous health care due-diligence projects, and strategy overhauls for health care providers, biotech, and medical technology companies. Most recently he has focused on bringing VBHC to clients across the health care industry by helping them deliver improved health outcomes at a minimal cost. Larsson's pioneering work on VBHC goes well beyond consulting engagements: since 2010, he has also been a BCG fellow, devoting a portion of his time to researching VBHC. In 2013, he presented a highly regarded TED talk on the topic, "What Doctors Can Learn from Each Other," which has garnered nearly 800,000 views. In 2012 he co-founded ICHOM, the International Consortium of Health Outcomes Measurement, alongside Professor Michael Porter of the Institute for Strategy and Competitiveness at Harvard Business School (HBS) and Sweden's Karolinska Institute (KI). ICHOM is a nonprofit working toward the global standardization of health outcomes measurement. In 2013, at its second annual conference, ICHOM released its first four Standard Sets of outcomes. By 2017, it aims to have published 50 complete Standard Sets covering more than 50 percent of the global disease burden. "It's rewarding for me to develop the firm's perspective on VBHC and bring innovative strategies to top health care executives as they navigate the industry and advance the treatment of patients globally," he said. "I'm grateful for the support BCG has given me and the VBHC team. 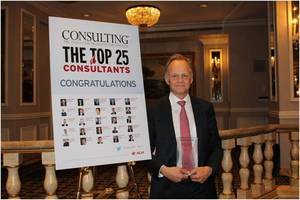 With this award, BCG has been recognized for our position on the leading edge of management consulting for health care." Prior to BCG, Larsson completed three years of clinical practice across general surgery, internal medicine, and pediatrics and published 23 articles in peer-reviewed journals. He received his MD from KI, where he is also an associate professor, and did his PhD studies at KI and Harvard Medical School. He did post-doctorate work at MRC-Human Genomics Unit in Edinburgh and EMBL Heidelberg. For more information, please contact Madeleine Desmond at +1 212 446 2856 or desmond.madeleine@bcg.com.